This is an ok product to have if you want something to take when you travel(for in hotel or etc.) but wouldnt recommend it for your all the time home bathing use. 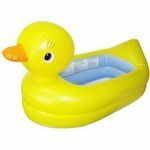 Its shape and design really doesnt give any support and its definatly not for babies who like to wiggle or dont like the bath. doesnt help keep them steady or stable and they can wiggle out ( or down) easily, even if your hands are on them.also the rod is padded but not that great so it can hurt if baby bumps his head on it. all in all not my choice for regular use. Bath Sling is great for newborn babies! 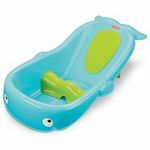 The Summer Infant Fold N' Store Tubtime Bath Sing is great for your little babies in the tub. It is just a perfect size to hold your baby and they stay safe and snug. I like that it is not this huge tub and that it is not big and bulky. I also love that you can wash the cover because I can tell you that there will be accidents in the tub and it is great how easily it washes up. I love that it is one of thos fairly inexpensive baby products (which seem hard to find sometimes). I love that it is so easy to store. Since we have so many different toys and baby products since we have a few children if we can find something that does not take up a lot of space and is not very expensive we are always interested. We have used this product for more then one child and it has help up great so do not let the price fool you. It is a good product that should last you for awhile. I do think the only negative is that babies do outgrow it fairly quickly. This is a wonderful tool to have during bath time. It is too big to fit in my kitchen sink like I was originally planning. I wanted to use it from day one, but I ended up waiting until I felt confident enough to move my baby boy to the big tub. I started putting the bath sling at a 90 degree angel to the tub side. I felt like I could control my baby better than way. He liked to sit in the sling and push against the side of the tub. Now I turn it parallel to the side of the tub so that he can splash and kick more. He can kick himself off of the sling so I still have to be very careful. But since he can't sit up by himself yet, the sling really makes it much easier to give him a bath. The benefit of the sling is that it doesn't take up as much room as the other bathtub seats. It is quick drying and simple to store. It does not work in the sink and it can't be used on the counter like some self contained baby tubs. But all in all I think this makes bath time simple. I really liked this sling. It is made of durable mesh which allows water to flow through easily. It is inclined (2 settings) via metal legs that are secured in a plastic base which allowed me to easily bathe our baby while keeping his head up and out of the water. I also found the base to stay securely in one place in our bathtub when I used it. There is a buckle strap that works well to secure baby. The sling is small enough to use in a large sink as well as the bathtub or shower. It dries quickly and I never had any problem with mold or mildew. It is nice and compact when folded-only takes as much space as a large children's book. I did find it a bit difficult to snap the metal legs out of the base to fold the sling up, but it was workable. I would highly recommend this sling, especially for people living in apartments or small houses. Bottom line: it works well, dries well and takes up minimal space. inexpensive, compact, and works great for baby! 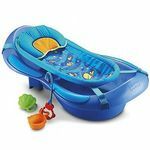 We never bothered with the big, expensive baby bath tubs for our babies when this bath sling worked just as well without taking up nearly as much space! All three of my kids used this bath sling, although we did have to purchase a second sling at one point. My babies all loved that they could still be in the warm bath water while I loved that they were safe and secure as itty bitty babies in this sling. It was easy to care for and easy to fold up and store if you are sharing a bathroom with your kids. Simplicity was really my favorite thing about this bath sling. It only works for little babies, but that's okay because once they can sit up, they usually like to be able to splash around the regular tub anyway. The only flaw was that it was not extremely durable - our first one formed some small rust spots on the base and just stopped seeming as clean. That is to be expected, though, since it was a fairly cheap purchase, especially compared to many of the large bulky baby bath tubs. 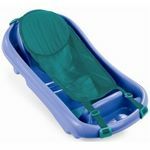 I mentioned in my review of a baby bath tub that a sling was needed and this is one I found for a great price to supplement my baby bath tub. I love how it is foldable which is great for small spaces, including my small house! It comes in a neutral non crazy pattern so it even matches everything I have - which may or may not be important for other parents. 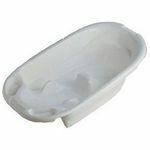 It also fits into sinks so even if you don't have the tub to go with it, you can still use it. I don't have a large enough sink for it to fit it (it doesn't fit in a small double sink) but I am sure it fits in the bigger sinks which is handy for alot of parents so they can just bathe their children in the sink and it isn't as bad on your back! 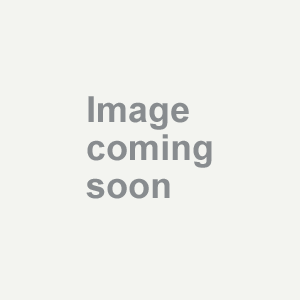 It is well priced, a well built product and as far as I can tell, because I only have used it for a few months so far, it will get alot of use in the next few months which is awesome for the price I paid for it!